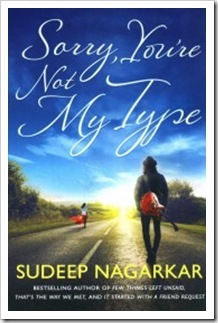 Does Sudeep Nagarkar strike gold with Sorry You’re Not My Type? 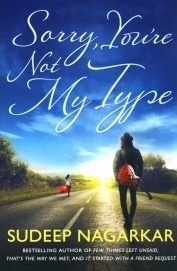 Sorry You’re Not My Type is like the rebound affair you have after a passionate relationship didn’t work out. You neither love, nor do you hate it, it’s quickly over and it leaves you with something between a beatific smile and a slight grimace. 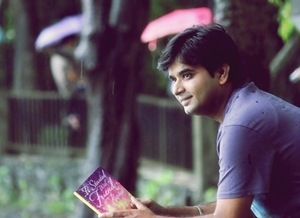 Vikrant, Yuvi and Anamika are the life of the book. They have their own band, eponymously called VAYU – V for Vikrant, A for Anamika, Y for Yuvi and the U is for Us. The band is their love and their life. The intra-relationships in the band are clearly highlighted and make up for most of the matter of the book. Apart from music, the three have starkly different personas that complement each other, MOST of the time. Other supporting characters are Yuvi’s girlfriend – Kashish, Anamika’s boyfriend – Anurag and his ex Sanaya. The characterization of each of them is detailed and they grow on you. The story is recited by Aditya who comes to meet his best friend and has an unforeseen tryst with the intense Vikrant. The book is set in bustling capital of the country, Delhi. Vikrant, Anamika and Yuvi are all students of the Rajhans College. We move from swanky restaurants like Mia Bella to the college canteen, appositely named Lover’s Point. The Lodha Gardens provide a welcoming shade for clandestine meetings and the DU campus is a glamorous stage for the concerts by VAYU and other college festivals. Many poignant moments also take place in the Delhi Metro, where Vikrant meets his lady love for the first time. Anamika’s relationship with Anurag sours and Vikrant’s relationship starts. Due to some untoward circumstances, their final show is a bust and this lowers everybody’s morale and escalates tensions between the fiery Anamika and the now-belligerent Yuvi. They all take a trip together to mend broken fences and broken hearts. The trip that changes the course of all their lives and all future decisions they would take. This book is strictly OK. The pace in the initial chapters is tedious, as love and its nuances express itself. Since the book was slated for a Valentine’s 2014 release, nothing less is expected. But this time, the author seems to have gone overboard, with characters falling in love with each other as would have been only in a Bollywood movie. It all seems a bit unreal. The writing seems oversimplified and the characters, too much in love. But, the passion for the music that the three protagonists share is appreciated and applauded. This book is essentially a travel read, with lucid language and a moderately engaging story. Read it as a light read a utopian love story. 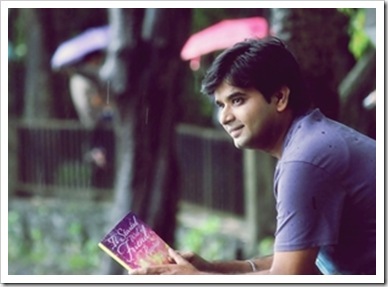 For all you Sudeep Nagarkar fans, here is our interview with him.